Esther Afua Ocloo was one of Ghana’s prominent entrepreneurs famous for pioneering a micro-lending program which seeks to assist start-up businesses by providing small loans. Esther who was fondly called Auntie Ocloo was also a co-founder of Women’s World Banking alongside Michaela Walsh and Ella Bhatt in 1976. She served as one of the organisation’s first head of trustees. Furthermore, she also campaigned for Economic Empowerment of Women – a movement dedicated to helping women with their businesses and becoming financially independent. Her contributions to economic development, especially as it relates to women has earned her respect, recognition, numerous honours, and awards. Esther Afua Ocloo was a Ghanaian national and businesswoman who was born on the 18th of April 1919 in the Volta Region of Peki Dzake, British Togoland, to parents George and Georgina Nkulenu. Her father was a blacksmith while her mother was a farmer and potter. Due to financial constraints, Esther’s parents could not send her to school, however, her grandmother sponsored her to attend a Local Presbyterian Primary School in Peki Blengo which was very far from home, so, she had to live in the school, coming home during the weekend to get food items. Esther Afua Ocloo proved to be an exceptional student which earned her a scholarship to Achimota School and thanks to the generous aid from her aunt, she was able to complete her education and earned the Cambridge School Certificate. Furthermore, during her days in high school, Esther started a small business of selling self-made marmalades and orange juice which she established with the aid of a bank loan in 1940 with the name Nkulenu Industries. Her business prowess earned her yet another scholarship and this time around, it was to go and study in London at the Good Housekeeping Institute before proceeding to read a Food Preservation Course at Bristol University. Although the renowned entrepreneur was lost to pneumonia back in 2002, her name will forever be remembered by many as she indeed lived a very fulfilling life by touching many lives around her. The hardworking entrepreneur made history back in the 1940s as the first African to obtain entry at the Good Housekeeping Institue in London where she graduated successfully. Esther Ocloo’s desire to empower women came from the fact that she was from an underprivileged family, hence, she understood the gains of being self-sufficient and financially independent. Upon returning to Ghana from England, she shared her knowledge and experiences in business by establishing a program which seeks to empower women economically, culturally and financially. The program teaches business management, agriculture, craft-making, and food production. Furthermore, in her bid to empower women, she assisted in establishing over eight non-profit organizations which include ‘Sustainable End of Hunger Project’, amongst others. Knowing how difficult and challenging it was for low-income women to get bank loans, Esther Ocloo, in her relentless bid to empower women, co-founded the Women’s World Banking, a non-profit organization which caters specifically for underprivileged and low-income women with small loans known as micro-credit to start their businesses. This organization is very much active till today and has catered for millions of micro-entrepreneurs in more than 26 countries of the world. Esther Afua Ocloo served in the non-profit organization as the first Chairman of the Board of Directors from 1979 to 1985. Sources revealed that Esther Afua Ocloo was trained from childhood to be a devoted Christian. She remained steadfast in her religion and was a member of Unity Worldwide Ministries. More so, the entrepreneur was also a founding and devoted member of religious groups such as The Unity Group of Practical Christians in Ghana and Evangelical Presbyterian Church where she served in the committee for 13 years. She also assisted in creating a Bible class for women aimed at building Godly women. There’s no doubt that the dutiful and successful businesswoman who was relentless at empowering other women received more than a fair share of public recognition and acclaim. 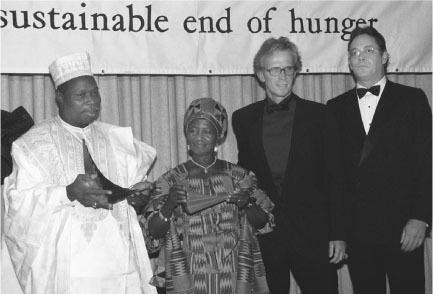 She was honoured with the African Leadership Prize for the Sustainable End of Hunger Project. Furthermore, in 1991, Esther Afua Ocloo was recognized by the National and International Federation of Business and Professional Women. Four years later, in 1995, she received another recognition from the Women’s World Banking in Ghana and Beijing respectively. The resilient entrepreneur also received Ghana’s Millennium Excellence Award for Women and Gender Balance Development back in 1999. It is also interesting to learn that Esther Afua Ocloo was a happily married woman whose spouse has been identified as Stephen with whom she had 4 children – a daughter and 3 sons.